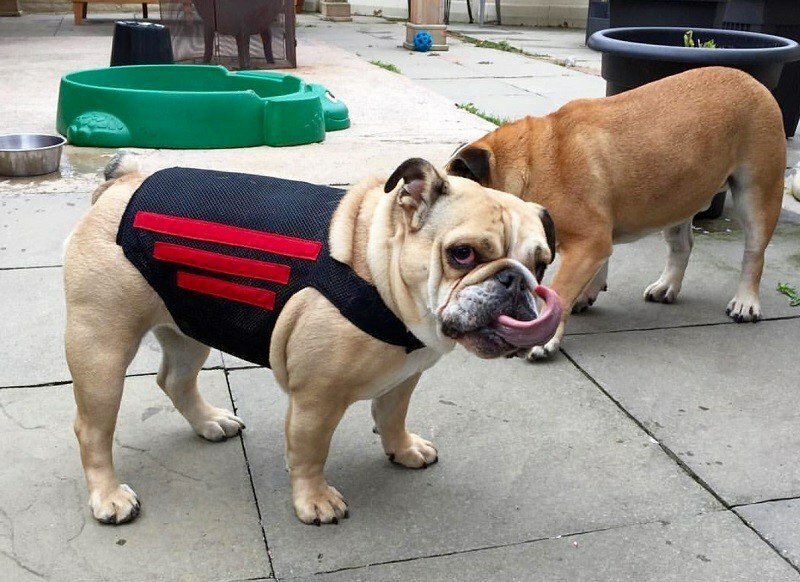 If you’re looking for the Wiggleless Dog Back Brace Review, then you’re in the right place. In this article, I’m going to talk about how dogs like Dachshunds are more prone to developing back problems. When suffering from IVDD (intervertebral disc disease), dogs need to wear back braces for relief. You will find many Dachshund owners praising the Wiggleless brand for manufacturing something as valuable as this product. And to be honest, all that information tends to be incredibly useful if your dog has the same problem. 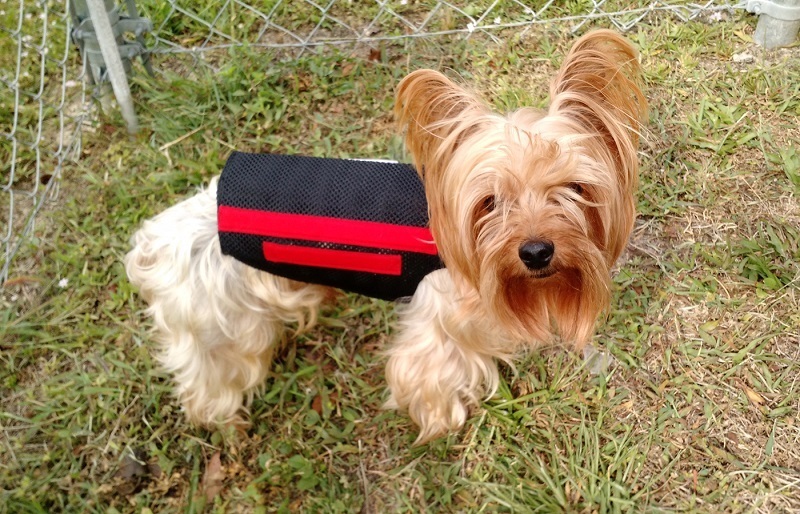 The creator of the Wiggleless Dog Back Brace came up with the idea after her dog suffered a back injury. This was when her Dachshund developed IVDD. At such times, the vet tells you that your dog needs to rest. And this sounds like an impossible goal to achieve, doesn’t it? So the whole point of the product is to keep the back straight even when your dog refuses to rest. It also encourages faster and better healing. So before we get into the details, let’s find out more about the condition called IVDD. What Breeds Are More Susceptible to Developing IVDD? How Does the Brace Work? Canine IVDD affects one in every five Dachshunds. It is considered to be a common occurrence in the orthopedic department. A dog’s bony vertebrae located in her spine are the regions that contain discs. These discs have shock absorbent properties. So they absorb all the impact of jumping, running, and walking. 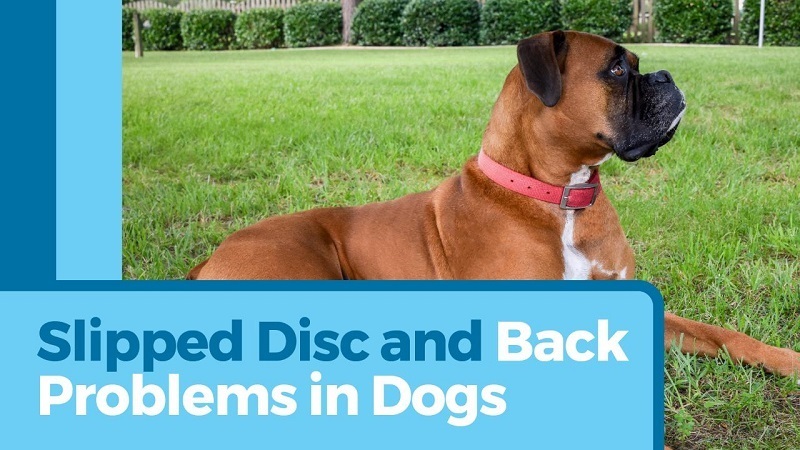 Just like humans, when a dog gets old, her discs lose some resilience. But at times, the process begins earlier. This is when the discs tend to degenerate faster. And such a condition is known as IVDD. Reduced activity level and appetite. Unwillingness to perform harder movements like jumping. Neck or back muscle spasms. Weakness and pain in hind legs. Hunched neck or back along with tense muscles. Dogs that exhibit early abnormal cartilage symptoms are more prone to suffering from IVDD. These breeds include Dachshunds, Lhasa Apso, Pekinese, Poodles, Beagles, Basset Hounds, and Shih Tzu. The dogs experience abnormal cartilage changes in their spine before they even turn 6 to 12 months old. And they are diagnosed with the condition from the age of 4 till 6. Now let’s get to the Wiggleless Dog Back Brace review. When buying dog shampoo, you don’t have to think about how big your dog is, right? But with a dog back brace, you have to, don’t you? And this is what I loved the most about the Wiggleless Dog Back Brace. The brace offers an excellent fit for Dachshunds. And it comes with a highly valuable Velcro extender. This makes the product suitable for many sizes. Another impressive aspect is quality. So the Wiggleless Dog Back Brace doesn’t only look good on the dog but feels good too. The Velcro strap is strong enough to keep it from budging once fastened. This brings me to a safety precaution. When pulling off the Velcro, you need to make sure that you do it gently. Pulling it apart quickly might cause your dog’s back to jerk. And that is not what she needs. The Wiggleless Dog Back Brace review that I have written here tells you all about how comfortable the product is. You don’t need to worry about your dog not being able to run and walk with this thing on. The product offers total comfort for all physical movements. This means that your dog can go about her business even with the back brace on. The brace may push the neck fat on some dogs further up due to the snug fit. But that’s not a problem as long as the brace is doing its job well enough. When taking your dog out for a walk, Wiggleless gives you the opportunity to use a Sporn non-pull harness. The brace and such a harness constitute as the perfect combination. Since you have a dog, you already know why a harness has the upper hand over a collar. It does an excellent job at distributing the pull and force of the leash in an even manner throughout the body. And this does not apply to a collar, which tends to distribute the pull only in the throat and neck region. So using the brace along with a harness helps in reducing overall stress on the body. In fact, such a design also keeps the dog from pulling on the leash. She will be more focused during her walks and will not try to stop to pee on every tree. Now it’s time to talk about the real thing in this “The Wiggleless Dog Back Brace Review.” The brace keeps the back straight along with aligning it properly. With the Wiggleless Dog Back Brace on, your dog will not be able to make crazy, sharp turns during playing. This means no more playing rough, even in the house. And that’s kind of the whole point anyway, isn’t it? Once the Wiggleless Dog Back Brace goes on, your dog will be encouraged to walk or run slower. This means less wiggling, hence “Wiggle Less.” So you can put it on when your dog isn’t resting or napping. Before I conclude, I would like to address one crucial question about the Wiggleless Dog Back Brace. Here it is! You should know that you can use this product even on anxious dogs. If your dog has an anxiety problem, then the Wiggleless Dog Back Brace is perfect to manage such a dog. For one, the equipment is easy to wear. Putting on an anxiety wrap is more challenging and complicated than a back brace. All you need to do is wrap the thing around your dog’s spine and ribcage. The Wiggleless Dog Back Brace has a solid construction. This means that it’s not flimsy at all. The optimal stiffness of the brace does an excellent job at keeping the spine secure. 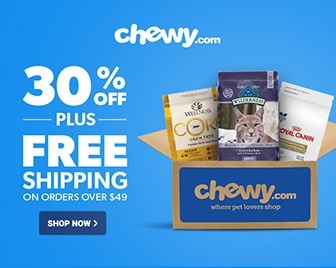 You can introduce this useful equipment to your dog by offering him some treats at first. Don’t just put it on without warning. The Wiggleless Dog Back Brace review discussed above talks about all the important aspects involved with using the equipment. After spending several hours researching about this product, I can tell you that it’s the best dog back brace for slipped disc. Canine IVDD is a serious disease, so if your dog has IVDD, THEY NEED TO SEE A VET IMMEDIATELY! They need heavy medication, and crate rest. THEN they can use a WiggleLess to promote health and healing. It’s time to be a caring, loving, and responsible pet owner, isn’t it? So does your dog have IVDD? And have you ever used a back brace to treat the condition? Please don’t hesitate to share your experiences with us below. You can also drop in your feedback in the comments section. I hope the content was useful. And thank you for visiting my blog and reading the article.